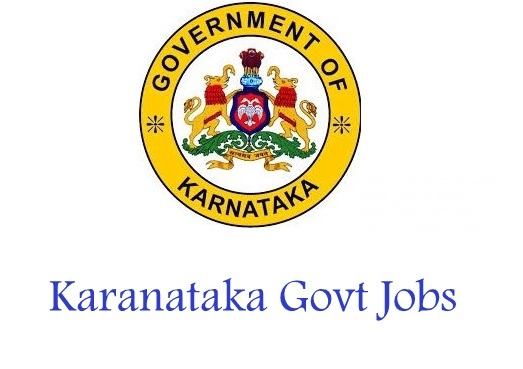 Karnataka Govt Jobs 2019:- Searching everywhere to get the details about latest govt jobs in karnataka? (ಸರ್ಕಾರದ ಉದ್ಯೋಗಗಳು) Here this article is made for you. We have gathered some new recruitment that are release by the state government of Karnataka. By going through this article the citizens of Karnataka state or candidates who are wishing to settle down in Karnataka state can get all details about govt jobs in Karnataka 2019 that are recently released by both state and central governments. We have updated all Karnataka Government Jobs and the aspirants can apply for the openings before the last date. By reading this article is completely as we have given all details in clear manner. Karnataka state government is providing all types of job openings for its citizens who have had different educational backgrounds. Candidates who had completed their 10th, 12th, degree, graduation, post graduation(PG), diploma, Ph.D etc and looking for latest govt jobs…, Aspirants can check complete details and then can apply for the Karnataka Govt Jobs 2019. For each and every Karnataka KPSC recruitment, we are trying to provide all the details that might help the job searchers to apply for the Openings. We are including data like name of organization, number of posts, qualifications, last date and starting date. UIDAI Recruitment Latest Openings Check Advt. Exide Life Insurance Recruitment Latest Openings Check Advt. WCD Karnataka Anganwadi Recruitment 237+ - Workers & Helpers Posts Check Advt. BWSSB Admit Card 270 - Technical & Non Technical Posts Check Advt. Through this page, candidates can get news related to karnataka government jobs for degree holders, PUC, Diploma holders and much more. Also we will update the Jobs related to Railways, Banking, electrical, NGO’s, Health Departments, Teaching, Transportation, Irrigation, Media and other Sectors. If job searchers are interested in any of the sectors they can go ahead and check the information related to the govt jobs in karnataka 2019 which we will provide you in a detailed format. As the competition is very tight for Govt Jobs in Karnataka 2019 we rush the candidates to apply for vacancies only if they have all qualifications and eligibility that are specified in recruitment notification which is officially released by that particular Organization. Candidates can keep other options ready by checking remaining State government jobs in karnataka 2019 to avoid the disappointment of not selecting in the Openings. We recommend the candidates to bookmark this page to notify whenever there is a new opening. We will update this article regularly so that candidates can the information fastly. Apart from the state government jobs there are also many central government organizations that are situated in Karnataka state. If the candidates get these karnataka government jobs they can settle down easily, because govt jobs provides job security and attractive salary to the candidates who got placed in Organization after clearing all selection rounds. At the time of providing recruitment details we are also giving the information related to selection process. If candidates are having any doubts they can always check their Official Notification or Official site of particular Organization. If this article is informative and useful like and share it with your friends too. Visit again to get the instant updates about the Govt Jobs in Karnataka 2018-19. Also tell us if you have any queries related to the data given on this page. And the candidates need to remember that information in this article is only for reference and to confirm the details they can always check the Official site of the Organization.